Crepe paper has long been one of my favorite party supplies because it is incredibly inexpensive and you can make about a million fun party decorations with it! Case in point, this beautiful crepe paper flower backdrop. They are perfect for a dessert table or a photo back drop and with all of the color choices, you could get them to work with just about any party theme. Well any party theme for a girl anyways! 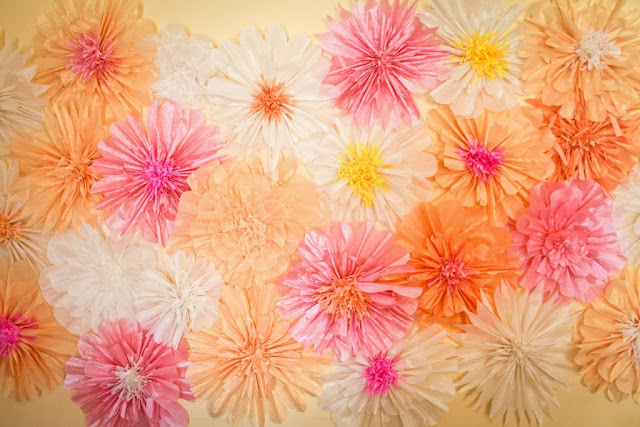 You can check out how to make crepe paper flowers over at KoJo Designs.